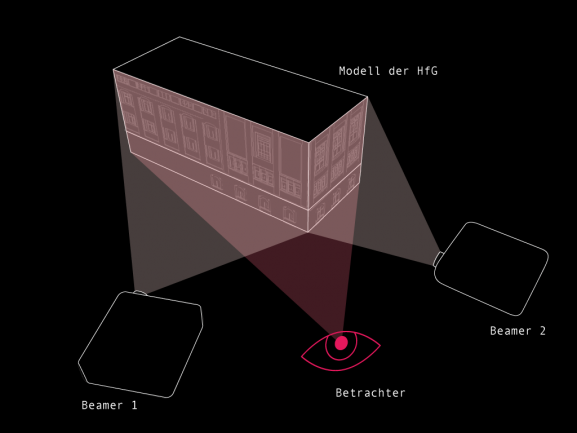 Patricia Dobrindt, Miguel Nobrega, Martin Glueckler, Leandro Neves, Karl Meyer, Jonas Heuer, Eduard Warkentin, Dominic Specht, Christian van Elten, Asaad El Salawi, Ulrich Lang, Thomas Techert, Kirstin Walker, Barbara Saga, Andreas Brendle, Sandra Kuehefuss, Julian Koehn, Kathrin Guther, Johanna Stuke. 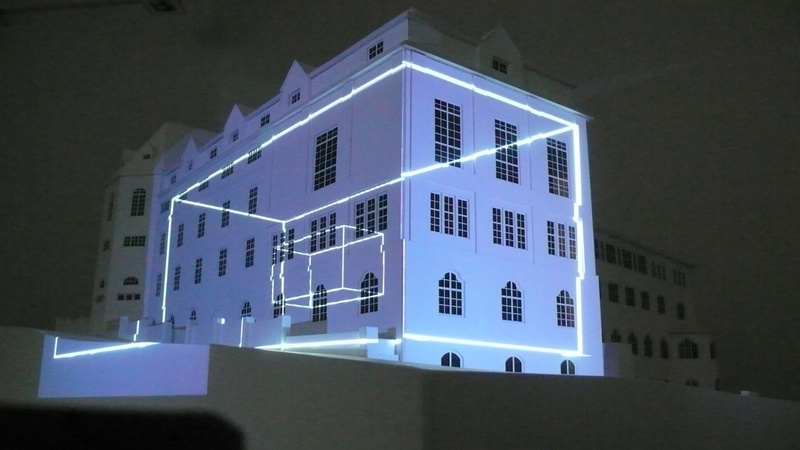 We developed extensive architectural projections for the 100th anniversary of the main building of the HfG Schwäbisch Gmünd. 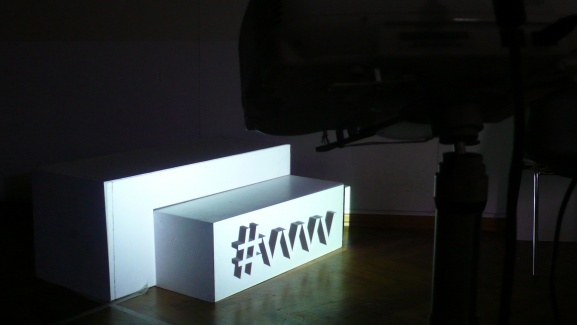 At the same time we got to know the visual programming language VVVV. The workshop aimed at having several possible scenarios which refer all to the architectural context of the building. 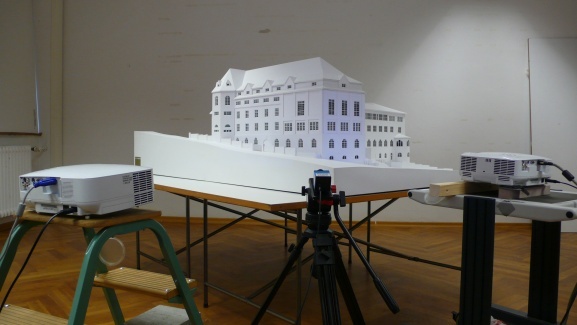 A model of the building – in a scale of 1:50 – as well as all relevant parts of the building in a digital version were placed at our disposal. Therefore, we could completely focus on learning VVVV and the projections. 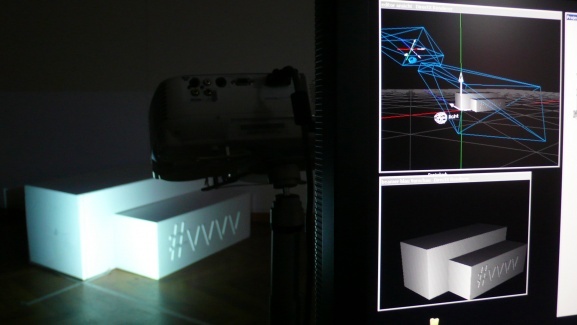 The workshop methods, technologies and VVVV patches have been digested into a quite popular VVVV tutorial.